Abu Dhabi Grand Slam - Abu Dhabi is part of the UAEJJF World Ranking and Abu Dhabi World Professional Jiu-Jitsu Qualifying Series. 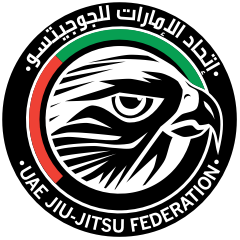 * WHEN REGISTRATIONS FOR THE UAEJJF ABU DHABI GRAND SLAM - ABU DHABI 2019 REACHES FULL CAPACITY THE REGISTRATION PERIOD WILL BE CLOSED. PLEASE CONTACT US AT [email protected] IF YOU HAVE ANY QUESTIONS. For the divisions whose will fight on Thursday. Fights start at 4:30 p.m.
* Parajiu-Jitsu (parathletes all classes) 2 p.m.